Old school design, new school construction. Nut ruck, fanny pack... No matter what you call it, this is a superior medical load carriage concept- just ask the Helmand Valley Gun Club. 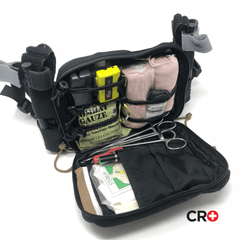 This med bag is designed to fit comfortably into the small of your back for easy integration into your kit. Designed to ride high so it won't bounce. It has a main compartment with our signature laser-cut bungee panel and three internal pockets for TCCC cards, sharpies, chest seals, needle d's, and all that jazz. 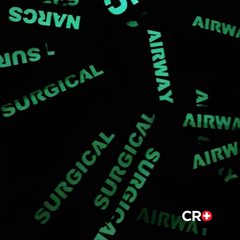 Laser-cut molle wings for pretty much anything you want to carry. We have seen multitools, tourniquets and everything in between. 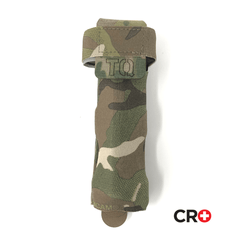 We recommend two CRO Tourniquet covers for balance and fast access. 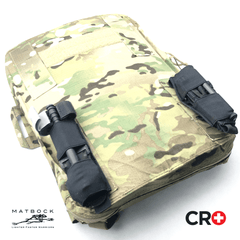 This IFAK is for every operation and can easily be configured into an E&E kit or any other mission specific kit. 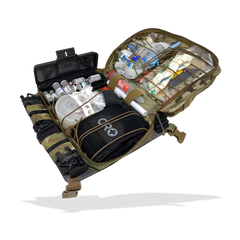 So, basically, what we are saying, is buy the IFAK, use the pouch for anything you want, and for the medics, you just found your new assault med bag.